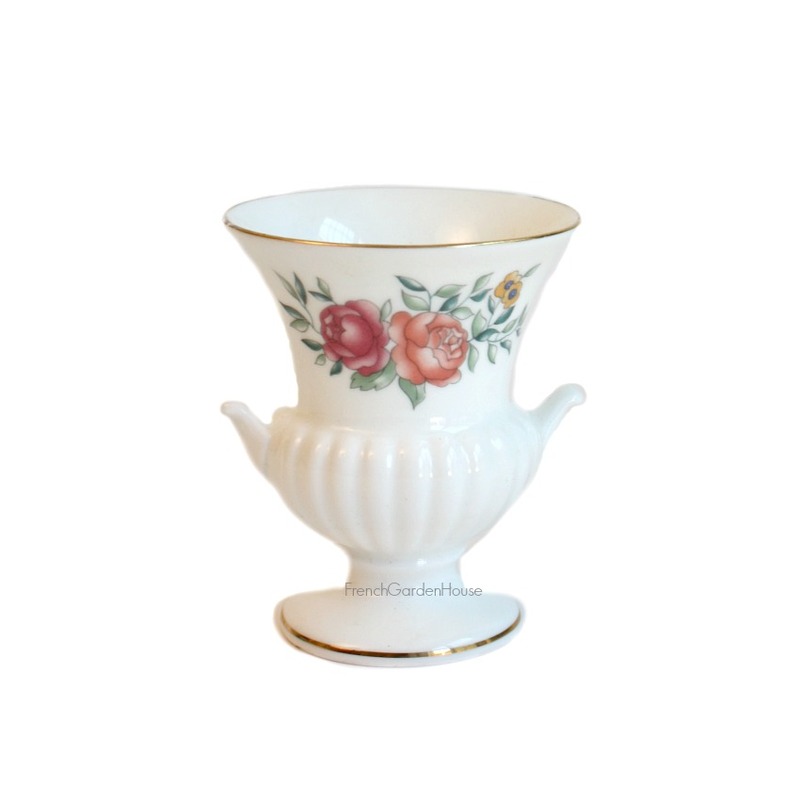 Sweet Miniature Urn Vase or Toothpick Holder made by Wedgwood, in pristine white bone china with Roses on both the front and back. A feminine classic shape, with the quality only luxury producers like Wedgwood can make. There is some wear to the gilt at the top, otherwise this is a perfect little decorative treasure. Display your favorite single rose from your garden with pride!